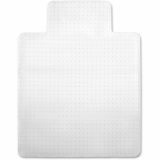 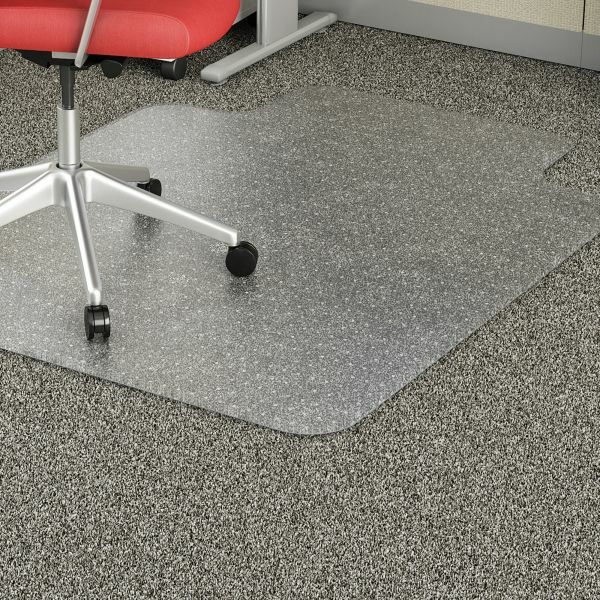 Lorell Economy Low Pile Standard Lip Chairmat - Economy chairmat with a lip protects your low-pile commercial carpets. 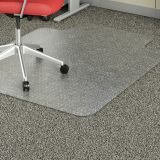 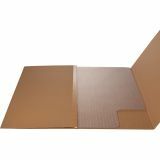 The lightweight vinyl construction features a studded back to grip carpets and beveled edge for smooth chair movement. 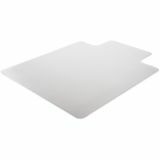 Lip measures 19 wide x 10" deep.